Serving Lincoln County grain producers since 1954 and on into the future. As anticipated, the 199A tax law has been corrected. new 20% deduction to their net business income that they didn’t have last year. THIS INCLUDES CUSTOMERS SELLING GRAIN TO WALKER PRODUCTS COMPANY! YOU DO NOT HAVE TO SELL TO A COOPERATIVE. Grain prices have recently been on the rise. As always, forward contracts are available for 2018 or 2019 wheat and fall crops. We are also happy to put in target orders for these. This may be a good time to think about pricing some fall crops. Historically, over the past 5 years, new fall crops tend to be at their high during the months of May through July. Let us know if you wish to target or forward contract these. Fill out this target contract and e-mail or send it into the office. Offers are not valid until confirmed. 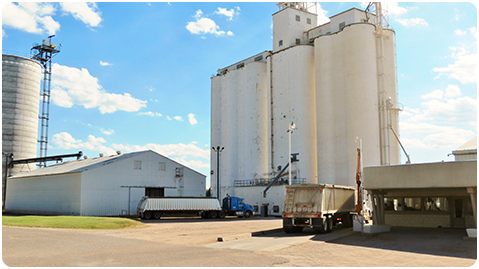 In order to give greater flexibility to capture government payments that may become available, all unsold fall grain will be placed in Open Storage. Delayed Price will NOT be offered at this time.